Te Whiti Homestead is elegantly positioned in a rural setting, amidst several acres of parklike grounds, boarded by the Ruamahanga River. This property is the perfect place to entertain family and friends year-round, wander the beautiful gardens during the warm summer months, admire the vibrant blooms in spring and blazing tones of autumn, in winter relax in front of the cosy fire in the large formal sitting room. For those seeking a special home with heart and soul, this landmark character villa will instantly appeal. Accommodation is provided by six generously sized bedrooms including a guest wing and well-appointed bathrooms. Formal and informal living areas are complemented by high ceilings and crafted fireplace surrounds. Dine alfresco or enjoy a quiet read on one of the charming verandas overlooking a variety of specimen oak trees matured on the property. 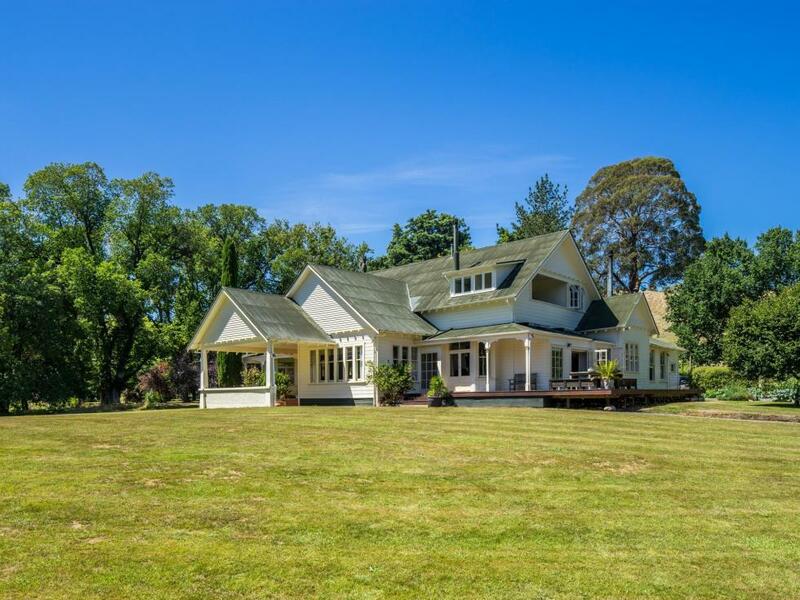 Superbly located just a short drive from Martinborough, Greytown and Masterton, previously enjoyed as a Bed and Breakfast and currently providing income through Airbnb this property is an ideal venue for your special occasions. You will fall in love with the incredible lifestyle this unique property has to offer.